Google's Android OS may be attracting users worldwide, but Apple's iPhone is still the smartphone people want in the United States, based on the latest financial results from AT&T and Verizon. The nation's two largest cellphone carriers accounted for nearly 32 percent of all iPhones sold worldwide in the last three months of 2011. Apple said Tuesday that it sold 37.04 million iPhones during the quarter that ended December 31, while AT&T said Thursday it activated 7.6 million iPhones out of a total 9.4 million smartphones sold during that same time frame. Verizon sold 7.7 million smartphones between September and December, and 4.2 million of those were iPhones. Sprint, the only other major U.S. carrier that sells the iPhone, announces its latest financial results February 8. AT&T lost its status in 2011 as the exclusive carrier of the iPhone in the U.S. Despite years of complaints about the carrier's poor service, however, Apple smartphone users in the U.S. appear to be sticking with AT&T. The carrier sold 3.4 million more iPhones than its largest competitor during the recent quarter. AT&T also said the majority of its sales came from the iPhone 4S, which sells for $199 to $399 with a new two-year contract. That's fairly significant when you consider AT&T also offers cheaper iPhone options such as the 8GB iPhone 3GS for free or an 8GB iPhone 4 for $99 with a new two-year contract. It's not clear whether the majority of Verizon's iPhone sales came from 4S, but that's a good bet. Apple noted during its earnings call that most of its iPhone sales during the recent quarter were for the 4S. 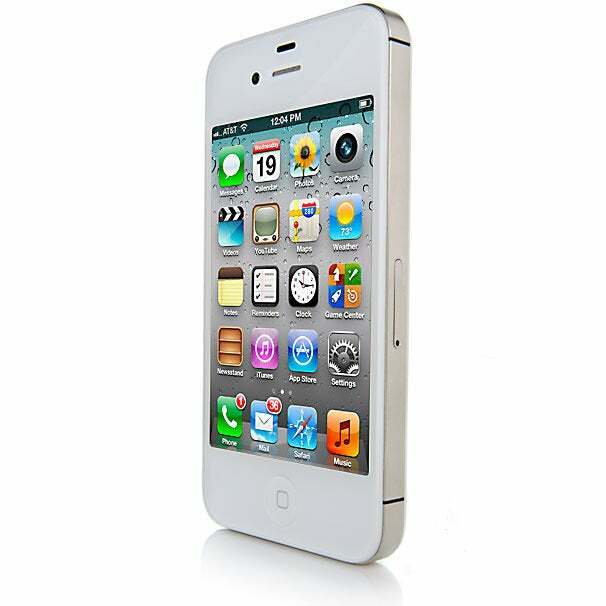 Verizon sells the iPhone 4S at the same price as AT&T, as well as an 8GB iPhone 4 for $99 with a new two-year contract. Beyond the iPhone, American cellphone users are also showing a preference for smartphones in general. AT&T said that as of December 31, 56.8 percent of the company's 69.3 million postpaid (contract) subscribers had smartphones up from 42.7 percent the year previous. Verizon smartphone users accounted for 44 percent of the company's postpaid subscriber base by the end of 2011 up from 26 percent at the end of 2010.